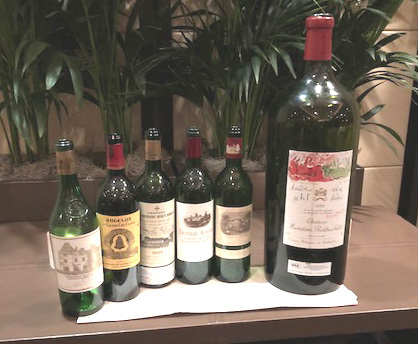 At a wine dinner with Bordeaux first growths from 1985 to 1996, the big surprise was not the quality of the wines, but the huge variation between different bottles of the same wine. Although in each case the wines had been acquired from the same source and stored together, there was not a single instance in which two bottles of the same wine tasted the same. The 1985 Haut Brion was the greatest puzzle. The first bottle showed a funky, quasi-medicinal nose, which seemed to suggest the possibility of Brett (unlikely though that might seem for this château), although the palate cleared a bit in the glass. It was actually subtle enough that I quite liked it. The second bottle went completely in the opposite direction, showing elegant fruits, but a squeaky-clean character with that came close to eviscerating the character of Haut Brion. Next came Angelus 2003. (Yes, I know this was not a first growth at the time, but the organizers evidently took a broad view of the term. Anyway, you wouldn’t balk at including Mouton Rothschild pre-1973 in a first growth tasting.) First bottle was fairly restrained, with rather flat aromatics, and the character of Cabernet Franc pushed a bit into the background. It never came to life. A second bottle showed more aromatic lift with a greater sense of structure at the end. A third bottle showed a more exotic impression, more sense of the precision of Cabernet Franc, with heightened sense of elegance; the very antithesis of any thought that the heat of 2003 might have given a jammy wine, it was one of the more elegant wines of the evening, while the first bottle was one of the most disappointing. On to Mission Haut Brion 1990, where the first bottle was absolutely true to the typicity of the chateau and appellation, with elegant fruits and faint sense of cigar box in the background. The next bottle showed flattened aromatics to the point at which all the life seemed to go out of the wine. While the first bottle was fabulous, the second was merely ordinary. We went into high gear with Ausone 1996, where the aromatics of the first bottle seemed to point more to the elegance of the left bank than the richness of the right bank. Beautifully integrated, with a sense of seamless layers of flavor, the wine showed something of the ethereal quality of a great vintage of Lafite. A second bottle had a slightly sweaty nose, a faint sense of gunflint, and gave an overall impression of reduction. A third bottle was between the first two, with a flattened profile but not obviously reduced, and a fourth was almost as good as the first. The first bottle of Lafite 1986 was a bit flat aromatically; although showing the precision and elegance of Lafite, a sense of austerity on the finish made it seem almost stern. I took the sense of a somewhat hard edge to the wine to be the character of the vintage and was uncertain whether it would dissipate with further aging. But a second example showed that this was the character of the bottle rather than the vintage: it really sung, with that ethereal quality of Lafite showing as a seamless impression of precise, elegant fruits, all lightness of being. 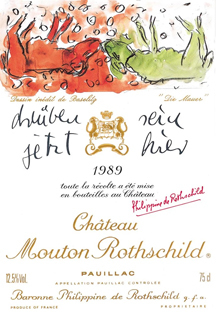 With Mouton Rothschild 1989 there was another sort of surprise. The first pour (from a decanter) showed the plush power of Pauillac, very much Cabernet-driven, with black, plumy fruits. A second pour (from another decanter) showed just a little more aromatic lift. The difference between these two was much slighter than between any of the preceding pairs. Here’s the rub: the Mouton came from a single Imperial. The fact that there was any difference at all is surprising, although I have had this experience before, when some pours from an Imperial seemed to be corked while others were pure (I Want My Glass From the Bottom of the Imperial). Interestingly this was also from a Mouton 1989. The notion there can be differences within a single (large) bottle is disturbing. I think this warrants a proper investigation. I will undertake a thorough experiment if given a supply of Imperials of first growth claret (Mouton from 1989 would be preferred). We will extract the cork and take samples from the top and bottom using a very long pipette, without stirring up the wine at all. Then we will know if proximity to the cork and oxygen on the one hand, or to the sediment on the other, makes any difference within the bottle. It is not so surprising there should be differences between bottles. After all, if you buy a case of wine and store it for ten or twenty years, you can see at a glance that every bottle has a different level. Differences in ullage imply differences in exposure to oxygen that might well affect the flavor spectrum. But the comparisons in this tasting went well beyond minor differences, to the point at which in each flight there was one bottle that was unquestionably first growth, and one bottle that was disappointing enough to cast doubt on that status. One moral is that if you are at a tasting where there are second pours from a different bottle, always get a fresh glass for the second pour. Another is to ask whether there is really any point at all in tasting notes, projections of aging, or recommendations, if every single bottle is going to be different. Certainly this is not what the punter expects when he buys a bottle. The culprit must be the cork (inter alia, the sommelier reported that he had never rejected so many corked bottles in preparing for a tasting, so the worst cases had already been removed). Is there any alternative? Experience with New World wines suggests that using screwcaps might cause the wines to age more slowly and a little differently, but with greater consistency. I’m sure the argument in Bordeaux would be that it’s a bad idea to risk damaging the product of one of the most successful wine regions in the world, but is it so successful if there is no predictability after twenty years? I have despaired for years of seeing a reasoned discussion of the implications of genetic engineering for grapevines or other plants. Politicization has created an atmosphere in which it becomes impossible to discuss on a rational basis the advantages and disadvantages of the technique. Of course there are dangers, but they have to be weighed against potential gains. This was brought back to mind by an essay by Hrisha Poola, the winner of the wine writing competition on jancisrobinson.com. In his essay (available at https://www.jancisrobinson.com/articles/wine-gets-crispr) he focuses on the potential use of the new CRISPR technique for GMO of plants and in particular grapevines. This is a valuable exercise, but I can’t help feeling that in focusing so closely on CRISPR, this somewhat muddles the wood and the trees. Genetic engineering of the grapevine has been possible for a couple of decades, as indeed it has for other crops. In fact, the grapevine is an outlier in the lack of GMO. CRISPR is a technical development, an important one, that makes it much easier to do genetic engineering, and which offers much greater precision than before. It’s significant enough that the authors are candidates for a Nobel prize, but it does not represent the same paradigm shift as the introduction of gene editing itself. Concentrating on the technique, and giving the impression that it is CRISPR that has actually created the possibility for genetic engineering, distracts us from the main issues. We should be discussing the implications of loss of diversity by exacerbating the trend to use clones, that is, to risk allowing a few genetically engineered clones to replace existing genetic variation. In that context, the interesting question about CRISPR is whether, by making the process easier, CRISPR might make it possible to introduce the same change into a variety of base material and thus reduce the effect of loss of diversity. We should be discussing how to weigh up the pros and cons of the use of sulfur and copper, necessary for organic viticulture, against the possibility of eliminating them by genetic engineering of the plant. We should be discussing whether it’s better to use steroid sprays to control fungal diseases as opposed to changing the genetic constitution of the plant. And, of course, all this should be within the context of explaining how using genetic engineering relates to conventional plant breeding, and what are its advantages and disadvantages relative to cross-breeding. It is perhaps significant that Hrisha’s essay opens with a quotation from Mukherjee, who has had a great success with his book (The Gene: An Intimate History), but which is skeptically regarded in the scientific community for its over simplification of epigenetics. It is a sad truth that those who have the public ear tend to trivialize or politicize the issues. I don’t want to cavil, I would love to see an informed debate on the topic, but discussions need to be based not on technique and technology, but on the principles of what is involved. Unfortunately we live in a culture where the media do not take science seriously, or perhaps to be more accurate, where they do not regard it as a topic that should be treated seriously. I remember years ago when we published a significant paper on the common cold virus in Cell, it made the concluding item on the evening news in the form of a report showing clips from Charlie Chaplin movies where the actor was ridden with cold. Very funny, but not going to help public understanding of science. Sadly, nothing has changed in thirty years. Only last week, a report that alcohol might cause cancer by leading to the production of acetaldehyde was trivialized on Reuters by video clips of drunken revelry. It’s never going to be possible to have serious debate against that background, so kudos to Jancis for publishing a serious essay: but let’s move on from the technology to the philosophy. Now that would be something! I was at a wine dinner last night which served three first growths from 1989 all from Imperial. The Margaux was surprisingly earthy, the Latour was the standout–it may become ethereal if we live long enough to see it–but the Mouton was variable. I tried three glasses: the first was definitely corked, the second was on the edge, and the third seemed fine at first, but showed signs of cork taint an hour later. A normal enough experience, you might say, especially since 1989 was a period when cork taint was perhaps at its peak–but I believe all three glasses came from the same Imperial (equivalent to 8 bottles). Bottle variation is common enough, but how can there be variation within a bottle? This set me wondering about the diffusion of TCA from the cork into the wine. I’ve never regarded a corked bottle as being anything other than simply corked, by which I mean that the wine is spoiled, and that’s the end of it. But if the bottle is large enough, is it possible that the top has a greater concentration of TCA, and that the contaminant might not have diffused to the bottom? The idea is rather at odds with the usual analogy used to explain the power of cork taint: a couple of teaspoonfuls is enough to contaminate a swimming pool. It’s never been suggested that the deep end would be less affected than the shallow end. So I’m mystified. It’s difficult to see how there could be significant variation in cork taint between one end of the bottle and the other, but the fact is that three glasses were all different. Logic or no logic, as a precaution I think in future I will try to have my pours from the bottom of the Imperial rather than the top. What to do about Ullaged Wines? I discovered about a dozen seriously ullaged wines when I was doing a physical inventory of my cellar, which I do every year to check on what’s really there (some bottles get consumed without recording, some get taken to events, some just disappear…) While I’m at it, I check the conditions of the bottles. Although the cellar is temperature- and humidity-controlled, some bottles do develop ullage—corks don’t last for ever, no matter what. 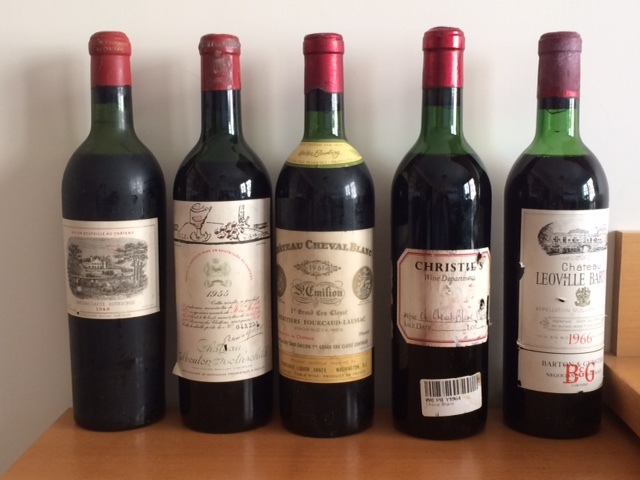 On a previous check, I discovered ullage in most of my bottles of Mouton Rothschild 1970. I asked Mouton what happened, and this was the reply: “In 1970, we used cork of 54 mm length and we had problem due to the size of the cork and not the quality. Today we use cork of 49 mm length and it is much better. When the cork is too long, the space between wine and cork is not enough to absorb temperature variations.” Pity they didn’t do a recall! This year the ullaged bottles were all one-offs, with vintages ranging from 1948 to 1975. I have been trying to find a way of enjoying them. Their condition really restricts them to being tried at home, they are too unreliable to offer to guests, and the combination means it may be ambitious to have the whole bottle at one sitting. Coravin seemed like it might be a solution. Use Coravin for the first half of the bottle, so as to protect the rest with nitrogen, and then pull the cork to enjoy the other half a day later. But the corks are too fragile. Turning the bottle up to use the Coravin, wine washes out right around the cork. Another problem is that, as the bottle is turned more towards the horizontal, the sediment gets all stirred up. So Coravin may be great to enjoy pours of young wines, but once a wine is old enough to have any substantial sediment, it creates as many problems as it solves. Even extracting the corks without getting fragments into the wine is a problem, but assuming the cork can be got out, I have a working solution. Because of the difficulty of extracting the cork, and uncertainty as to whether the wine will be drinkable, the bottle needs to be opened a bit in advance. Once the cork is finally out, I bubble a little nitrogen into the wine to stop any deterioration before we drink it. A little later, we start on the first half of the bottle. Assuming the wine hasn’t deteriorated in the course of dinner, I then decant the remaining half into a half bottle. This allows the sediment to be filtered out. Then I sparge the bottle with nitrogen. There have been on or two incidents when the sparging was a bit too vigorous, and we lost some wine, but basically this removes any free oxygen. Obviously it can’t reverse any oxidative changes that have occurred in the wine, but it seems to stop any further deterioration. The wine goes back in the cellar over night to keep it as cool as possible. (Yes, I am aware of Dalton’s law of physics, which means that each gas equilibrates independently in a solution, but be that as it may, so far, on the basis of an admittedly statistically insignificant sample, it works; every wine has been enjoyable the day after.) The Lafite 1961 even improved, and was even smoother and silkier the second day. The staying power of some of these old wines, especially first growths, is remarkable. Mouton 1949 was rich, full, and opulent: every drop a first growth, even though it was only a second growth at the time. In a blind tasting, I suspect I would have mistaken it for an old Latour. 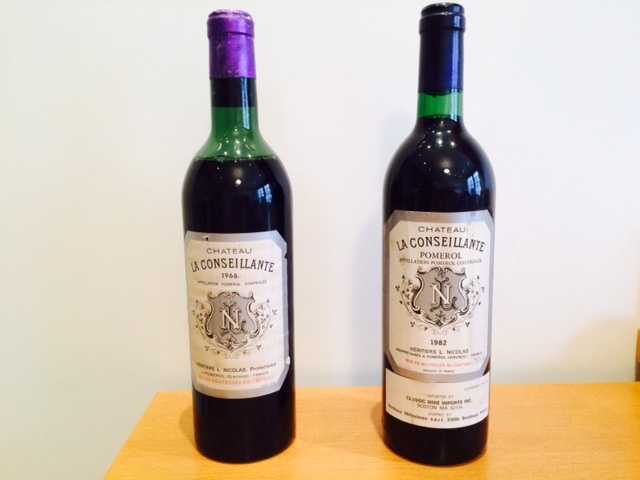 Canon 1966 and La Conseillante 1966 showed unexpected precision. Some bottles were, of course, undrinkable, but I still have several more to go. Perhaps because it is on the area of the graves right at the border with St. Emilion—one third of the vineyards even extend into over the border—La Conseillante has always been one of my favorite Pomerols. While I sometimes find the openly lush quality of Pomerol to be a bit too rich for my palate, La Conseillante strikes a more restrained note, partly due to a higher proportion of Cabernet Franc. 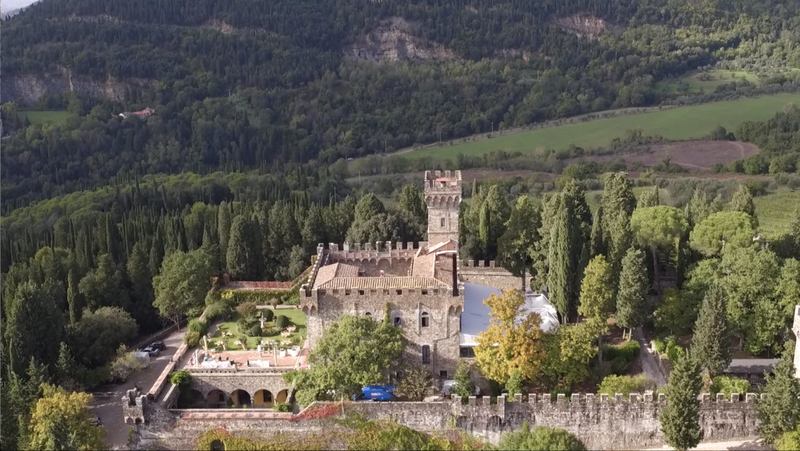 The secret to restraint is not simply a function of the grape varieties, however, because along the same lines, Château Magdelaine was always one of my favorite St. Emilions. Although in its day it actually had one of the highest proportions of Merlot, it always had a beautiful restraint, in fact, in some vintages I found myself thinking more about the left bank than the right bank in terms of comparisons. It was for me a sad day when Moueix decided to stop producing it as an independent château and combined it with Château Belair-Monange. It never achieved great success in the marketplace, perhaps because of its restraint, which brings me back to the theme of La Conseillante. La Conseillante has had its ups and downs. It had a great reputation in the fifties and sixties, declined in the seventies, and then came back in the eighties. Until the 1990s, the vineyards were planted with 45% each of Merlot and Cabernet Franc, and 10% Malbec. Then in the modern trend, Merlot came to the fore, reaching 65% by the nineties, and 80% by the 2000s. The proportion of Merlot in the grand vin in recent vintages has varied from 81% to 89%. But things are changing. Marielle Cazaux became the estate manager in 2015, and Michel Rolland has been consulting winemaker since 2013. Does this mark a move in a direction of greater plushness to more of an international style? 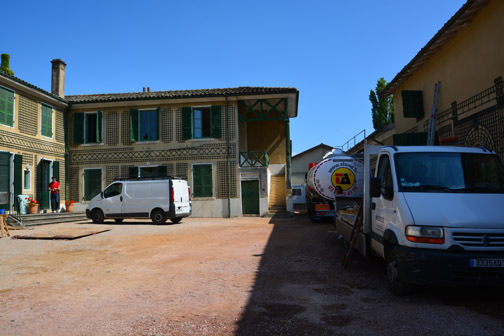 There haven’t been any noticeable changes in winemaking so far, although the tradition at La Conseillante has been to perform malolactic fermentation in the concrete vats, and Michel Rolland is known to be an advocate for MLF in barrique. That would probably bring a softer, lusher impression to reinforce a move to a slightly richer style anyway in recent years, although of course that’s common all over Bordeaux. At a recent tasting, the 2000 was the standout vintage: just at that tipping point when primary fruits have gone and there are slight signs of development. For me, it is perfection now, partly because it adds intimations of the left bank, with that faintly savory quality, to counterpoise the richness of Pomerol. It’s the perfect moment to see the true character of the wine. The 1990 was an illustration of why I have reservations about hot vintages and rich styles: just a bit too overt for my palate, more of a rustic impression, blurring the palate, compared to the laser-focus of 2000. The 1985 was a bit of a disappointment, with the fruits drying out, leaving a somewhat herbaceous impression with medicinal notes that recalled old Bordeaux. But on a rough count, opinion seemed more or less equally split as to which vintage was preferred, so something for everyone here. Going back to the previous era, or perhaps more accurately to the beginning of the modern era, the 1982 (tasted later a day later) is very much in the lineage of the 2000, but seems if anything even fresher: that sense of Medocian restraint is there, but the fruits are lusher, smooth and silky, with a fainter herbal counterpoise. To be fair, the 1982 is now a little variable: a previous bottle earlier this year seemed a little tired and would not have compared so favorably with the 2000. Although somehat ullaged, a bottle of 1966 was something else: incredibly youthful, rich, round, and ripe on opening, and then slowly converging in style with the 1982 and 2000 as a faint herbal counterpoise develops in the glass. I’m not sure that it would be easy to identify as the oldest wine in a blind tasting. Once again, there’s some variation between bottles, as the previous bottle, a few years ago, seemed distinctly more claret-like, where this one seems the most Pomerol-ish of all. La Conseillante was really doing something absolutely right to produce wines like the 1966, 1982, and 2000: so please don’t change it, M. Rolland. 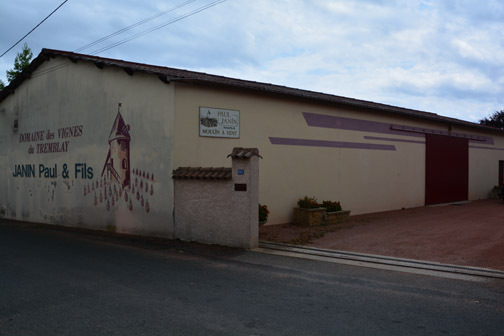 I wound up my week in Beaujolais by visiting two long-time producers, whose approach to making Beaujolais could not be more different, but each of whom typifies the very best of their approach. I remember Château des Jacques when it was owned by Thorin and produced a single Moulin à Vent, usually (in my view) the best wine in the appellation. (There was also sometimes a vieilles vignes cuvée coming mostly from the lieu-dit of Rochegrès). Thorin were famous for adopting a completely different policy from the semi-carbonic maceration that dominated (and still dominates) Beaujolais. Wines were treated in a Burgundian way and aged in oak barriques, something that was regarded with horror by other winemakers in the region. Château des Jacques is a building site today because the old winery is being completely renovated. “There is a blend from each commune, which we regard like a village wine in Burgundy, and 7 different single vineyard wines, which we could compare with premier crus. You might think this is the difference between grand vins and second wines, but it’s not like that at all, we take the best barrels for the blend for the commune, and then if there is enough we make the single vineyard wines.” The blends are matured one third in cuve and two thirds in barrique, with only a little new oak; the single vineyard wines are matured in barrique, with about 20% new oak. 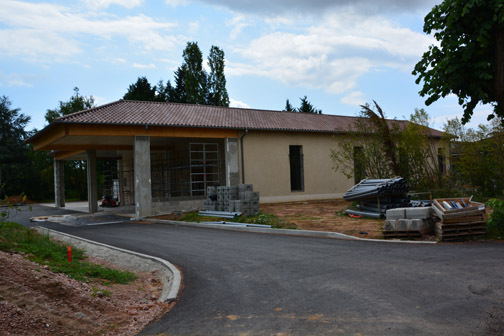 A new cuverie is being constructed and should be ready for the 2017 harvest. Tasting the range is much like a tasting in Burgundy. The communal blends are textbook illustrations of their appellations; Morgon is the tightest, Fleurie moves towards fleshiness, and Moulin à Vent shows breadth and that sense of minerality (I call it iron in the soil although if there’s any mineral in Moulin à Vent it’s really manganese). In the lieu-dits of Moulin à Vent, Carquelin (with some clay in the soil) is a little rounder than La Roche (which is sandier), and Rochegrès has a sense of purity and minerality enhanced by its high elevation. Moving to Morgon Côte du Py (at the same elevation of 360m as Rochegrès), there’s that typical sense of tension. All of the wines require aging: I tasted a horizontal of the 2014 vintage and I would wait at least 2-3 years before starting any of them. We concluded the tasting with a 1996 (to celebrate the anniversary of Jadot’s purchase) and it still in excellent shape. My next visit was to Domaine Paul Janin (also known as Domaine de Tremblay) where “the history is very simple,” says Eric Janin. “It goes back to my great grandfather, who was a tonnelier and bought several parcels of vines.” My grandfather bought some vines in the Tremblay lieu dit, which became the official name of the domain. “The domain has both increased and diminished since then.” Today there are 7.5 ha, all in Moulin à Vent, except for a hectare of Beaujolais Villages. There are three cuvées from Moulin à Vent: Vignes de Tremblay, which is a blend from several plots; Heritage, which is an assemblage from plots planted by Eric’s grandfather in the 1930s; and Le Greneriers, which a single vineyard wine from around the house. Vinification follows what you might call recent tradition, with whole bunches going into the vat with only a little destemming, giving carbonic maceration for the first few days, followed by maturation exclusively in stainless steel. The Janin domain is in the heart of Moulin à Vent, a stone’s throw from Château des Jacques. 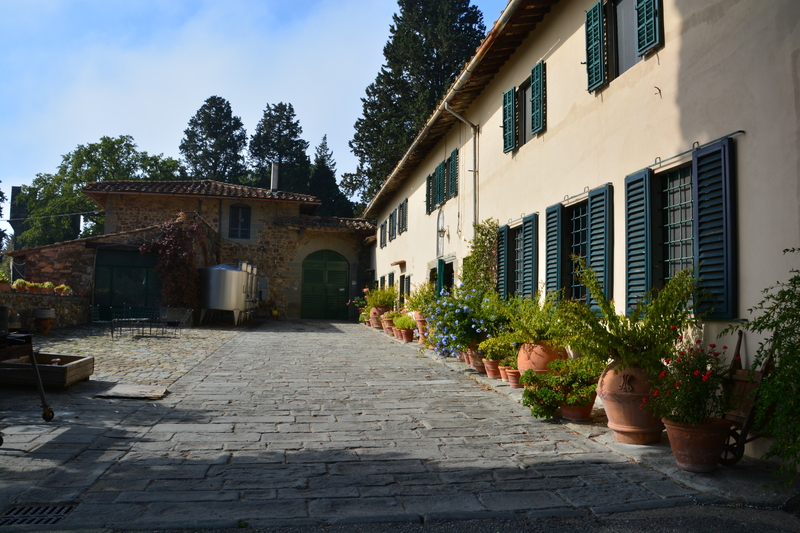 The wines are the quintessence of maturation in cuve, emphasizing purity of black fruits, with cherries merging into more aromatic notes in warmer vintages. Tannins can be felt on the finish but are very supple. There is greater concentration going from the Vignes de Tremblay to the Vieilles Vignes and then to the single vineyard wine, but there is always that sense of finesse and focus. The 2014 vintage is wonderfully approachable already. The same sense of purity and precision carries over to the Beaujolais Blanc. There is something for everyone here. I wouldn’t like to argue as to whether there is a “true” style for Beaujolais, but it’s obvious from comparing the two producers that you can make top notch wines in more than one way. All serious producers in Beaujolais feel they are laboring under the burden that it’s difficult to get away from the image of Beaujolais Nouveau—which is why the Crus rarely put Beaujolais on the label—but it’s worth recognizing that the Crus, especially the top ones of Fleurie, Morgon, and Moulin à Vent, can be interesting, and reflective of terroir and Gamay, just as much as better known varieties.